“With satisfaction in our past, we look forward to continued progress on the course we have set,” wrote Burlington Founder J. Spencer Love on the company’s 30th anniversary. Today marks the 95th anniversary of Burlington, a history that began with the vision of one man to be the best, push the limits and provide new solutions to everyday fabrics. Burlington continues today as a leading global provider of technology solutions and sustainable performance-driven fabrics. What started in 1923 as a curiosity to work with a new fiber, later named rayon, launched a spirit of innovation that is manifested today in Burlington Lab’s creation of proprietary technology platforms. With leading technologies such as high performance No Fly Zone® insect repellant fabrics; XALT™ laminated fabrics used in highly engineered garments; and MCS® advanced wicking and moisture management that can be matrixed for ultimate protection and comfort, Burlington brings advanced solutions to the marketplace. Other Burlington technology platforms include antimicrobials, repellency, contamination control, and fire protection. Burlington offers a diverse range of products including Performance fabrics featuring its Enthusiast, Lifestyle and Smarterwear™ Collections; Military and Tactical fabrics; Uniform and Career Apparel fabrics; Contract Interiors; and Barrier fabrics. The company’s global footprint offers manufacturing and product support out of the U.S., Mexico and China. With a commitment to sustainability and socially responsible products, the company collaborates with like-minded sustainable partners to create and promote the highest in environmental standards. Burlington offers fabrics that are bluesign® certified and carry the Oeko-Tex® Standard 100 certification. The Restora™ collection of eco-conscious fabrics made from a range of innovative and industry leading recycled content. New sustainability partners Eco Circle™ and Seaqual™ are added to longstanding sustainability partners REPREVE® and THREAD™ to offer customers a broad range of renewable materials. “We look forward to continuing the Burlington legacy to support customers with leading fabrics and solutions that drive their business and give a fresh perspective, while pushing the limits of textile innovation for future generations of fabrics,” says Kunberger. See Burlington’s exciting collection of fabrics at Outdoor Retailer November 8 – 11, MR #204 or learn more at burlingtonfabrics.com. 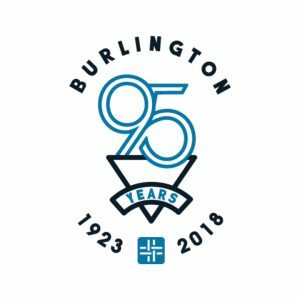 Celebrating 95 years of textile leadership, Burlington is a global diversified provider of textile solutions across performance & specialty apparel fabrics, active wear, advanced uniform fabrics, and technical fabrics. Burlington operates as part of the International Textile Group, Inc. (ITG) with worldwide operations in the United States, Mexico, and China. ITG’s business units include: Burlington, Cone Denim, Safety Components, and Carlisle Finishing. Burlington is proud to partner with its new sister company, American & Efird (A&E), providing expanded textile solutions to customers. To learn more visit www.burlingtonfabrics.com or www.amerfird.com.